It's the end of summer and the beginning of Fall, one of my favorite times of the year! With that comes out pumpkin EVERYTHING YUM! 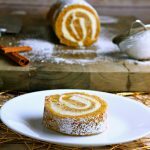 Here is one of those great recipes that I save for this time of the year! 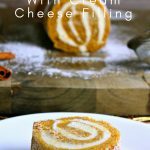 My pumpkin roll recipe is filled with cream cheese giving it an even richer taste! 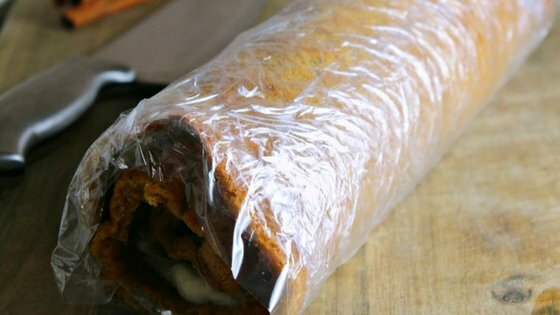 This is one of my favorite pumpkin recipes! Preheat oven to 375 degrees F and line a jelly roll pan with parchment paper. Set aside. 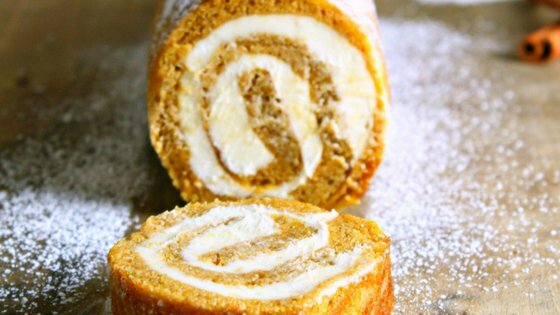 In a medium bowl, combine flour, baking powder, pumpkin pie spice, and salt and whisk. In a large bowl, combine sugar, eggs, vanilla extract, and pumpkin puree and whisk until smooth. Add dry mixture to wet mixture and stir just until combined, you don't want to overmix the batter. Pour batter into pan and bake for 15 minutes. Turn cake out onto a work surface and slowly (and carefully) roll the cake into a log. Related: The BEST Pumpkin French Toast Recipe You Will Ever Eat! Place on a cooling rack and let cool completely. To prepare the filling, combine all ingredients in the bowl of a stand mixer and beat until light and fluffy. 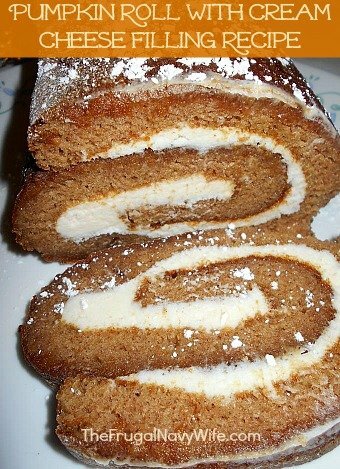 Unroll cake and gently spread cream cheese mixture onto it. Roll the cake up again carefully, and wrap tightly in plastic wrap. Allow cake to chill in the fridge for 1 hour. Remove plastic wrap and dust cake with powdered sugar. Slice and serve. To prepare the filling combine all ingredients in the bowl of a stand mixer and beat until light and fluffy. 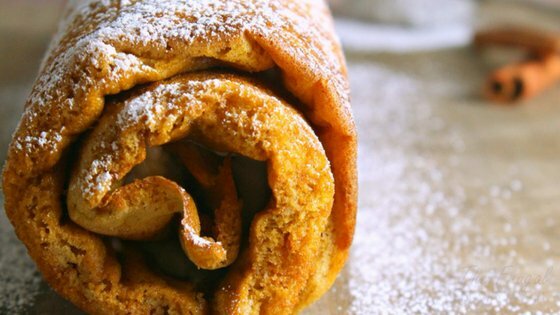 The BEST Pumpkin French Toast Recipe You Will Ever Eat! The Perfect Baked Pumpkin Oatmeal For A Fall Morning!